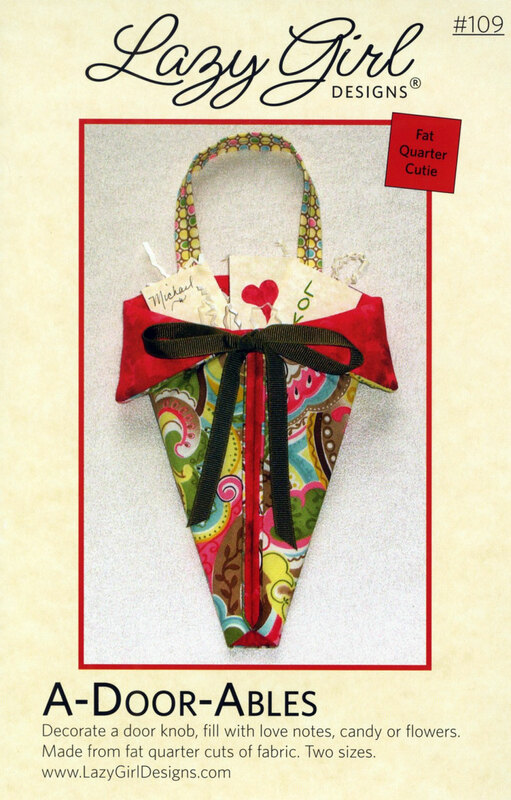 A-Door-Ables is a Fat Quarter Cutie pattern! 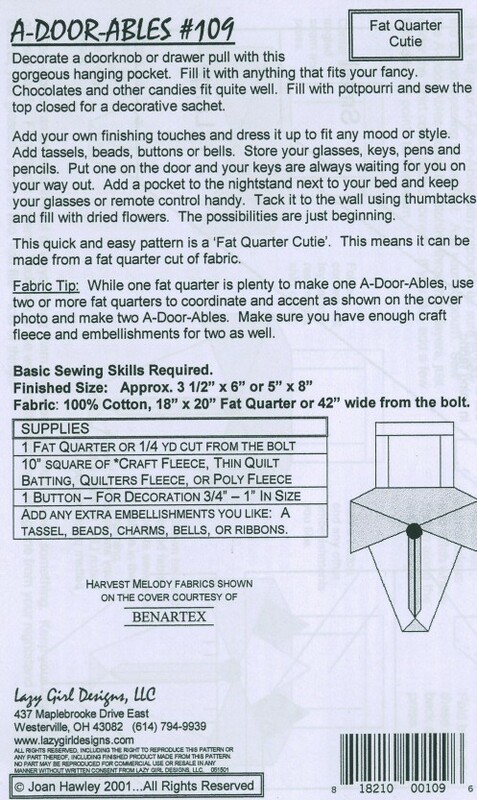 Now you can make a beautiful decoration for your doorknobs or drawer pulls with this pattern for a gorgeous hanging pocket. Fill it with anything that suits your fancy. 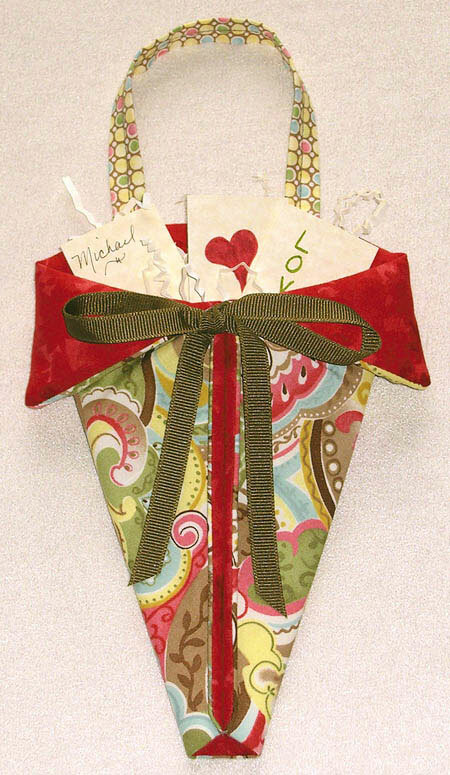 Add your own finishing touches -- dress it up to fit any mood or style.